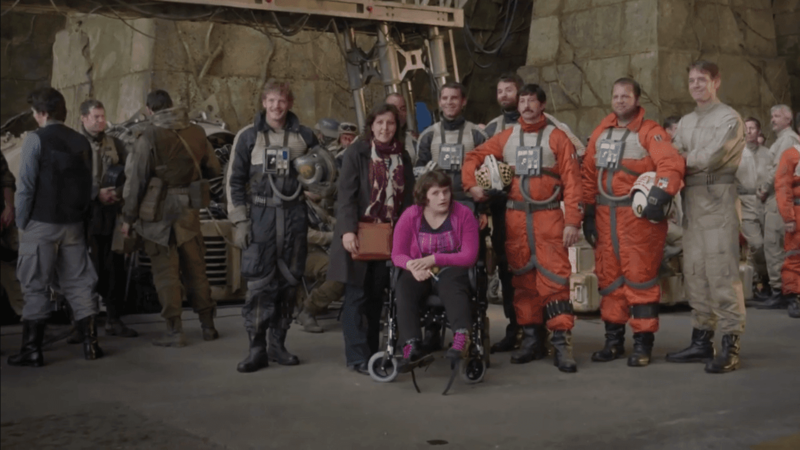 Familiar Rebels Spotted in 'Rogue One' Charity Video for ASSERT? If you look carefully at 1:08 in the video, you'll see two X-Wing pilots on the right that appear to be Biggs Darklighter and Jek Porkins (or at least two guys that look a lot like them and wear the same helmets). Shout out to our friends at Making Star Wars for spotting them! Rogue One: A Star Wars Story hits theaters on December 16th. You can learn more about Angelman Syndrome and ASSERT here. Aw, sweet video. Hat's off to anyone who helps people with Angelman Syndrome.